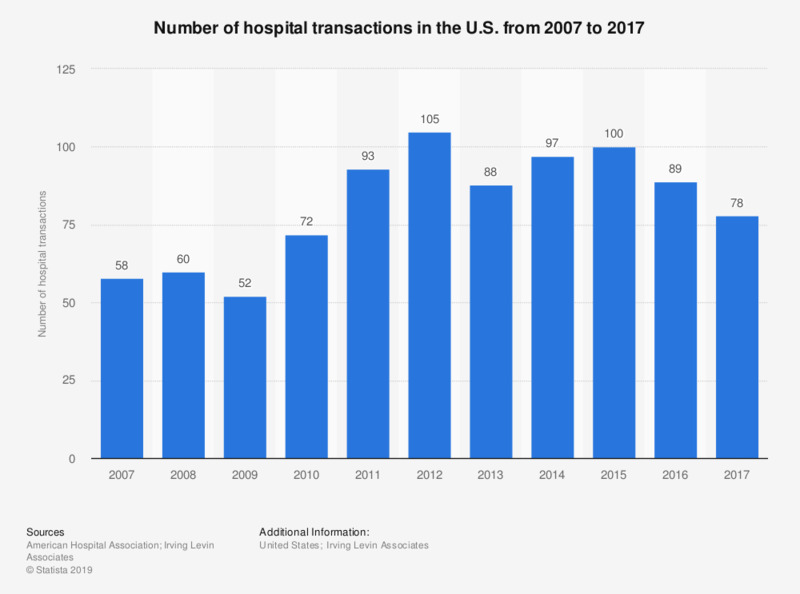 This statistic shows the number of U.S. hospital transactions from 2007 to 2015. In 2007, a total of 58 hospital transactions were completed. The record-year within the given period was 2012 with 107 transactions.